Oni Seed Co's Tropicanna Punch is a regular marijuana seed created from the crossing of the elite Purple Punch variety and the crown jewel of this bank which is the Tropicanna Cookies. Tropicanna Punch is a plant that flowers in 70 days or less, produces high yields and, as expected, has delicious sweet and fruity aromas and flavors. 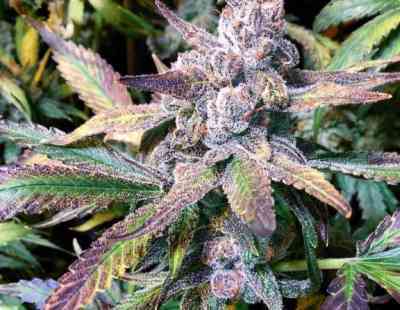 Its dark purple color dazzles everyone and is an ideal cannabis variety for lovers of extractions and quality hashish.